Video: Trump supporters beat up Black Lives Matter protester at rally. 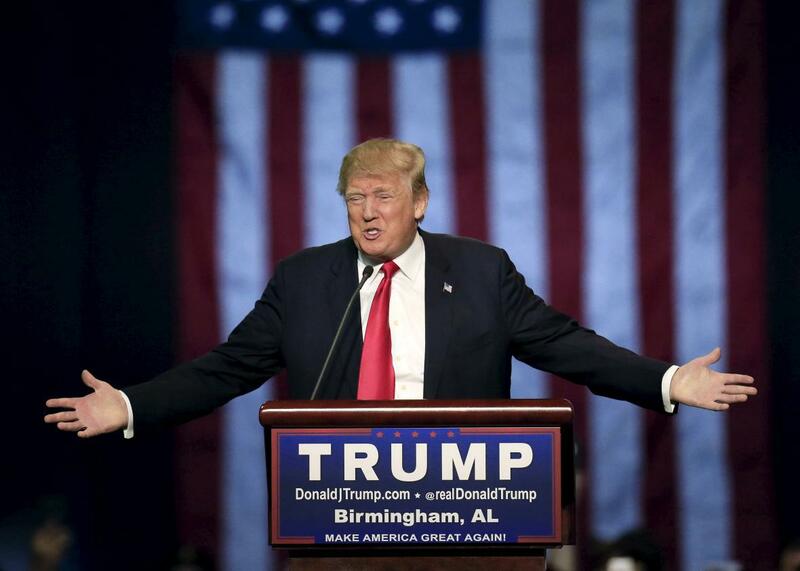 Republican presidential candidate Donald Trump speaks at a rally at the Birmingham Jefferson Civic Complex in Birmingham, Alabama on Nov. 21,2015. Several people taking part in a rally for Donald Trump in Birmingham, Alabama pushed down, kicked, and punched a black protester. At least six Trump supporters shoved and tackled the protester, while one man punched the demonstrator and a woman kicked him while he was on the ground, according to CNN. One even attempted to choke the protester as another onlooker yelled “Don’t choke him!” according to the Washington Post’s account. The incident was all filmed by CNN reporter Jeremy Diamond. The protester did not need medical attention, and no one was arrested. Campaign spokeswoman Hope Hicks told CNN that “the campaign does not condone this behavior.” But Trump wasn’t exactly discouraging his supporters.